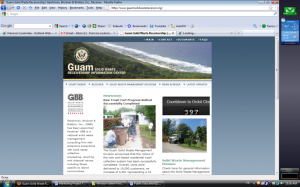 In March 2008, the Chief Judge of the United States District Court of Guam issued a court order appointing GBB as Receiver to achieve the Guam Government’s compliance with the Clean Water Act as set forth in a Consent Decree. The Decree, signed between the Government of Guam and the United States Environmental Protection Agency (U.S. EPA) on February 11, 2004, orders the Government of Guam to close the Ordot Dump, cease all discharges into the Lonfit River, open a new municipal solid waste landfill facility, and develop and implement recycling and hazardous waste strategies to reduce the volume of materials going into the landfill. As Receiver, GBB has full power and authority to enforce the terms of the Consent Decree and assume all of the responsibilities, functions, duties, powers, and authority of the Guam Solid Waste Management Division of the Department of Public Works, and any and all departments or other divisions of the Department of Public Works insofar as they affect the Government of Guam’s compliance with the Consent Decree. When GBB arrived on Guam, among other serious deficiencies and non-compliance issues, the island’s four transfer stations were in poor condition, there were no government recycling programs, and trash collection service was inconsistent. GBB cleaned up the transfer stations, installed new signage, and added recycling drop-off facilities. 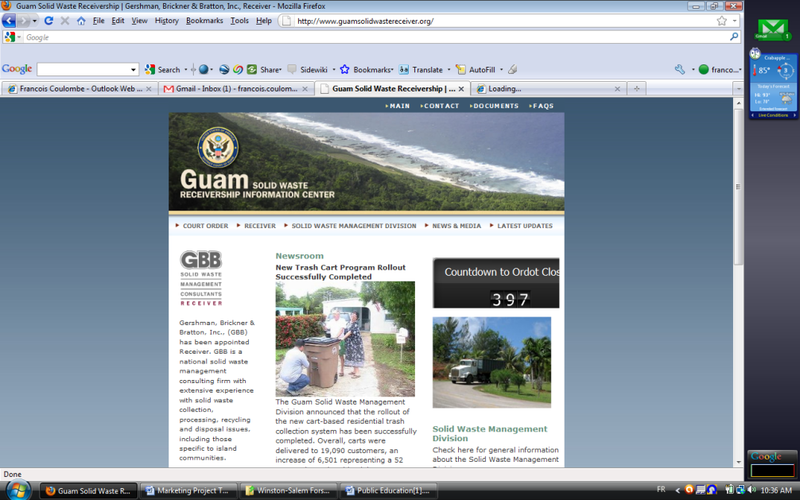 In addition, GBB implemented consistent trash collection, with an 80 percent reduction in complaints. Signage, which was developed with MillerCox Design, relied on photographed images and limited words to instruct residents about what materials should go in each container. 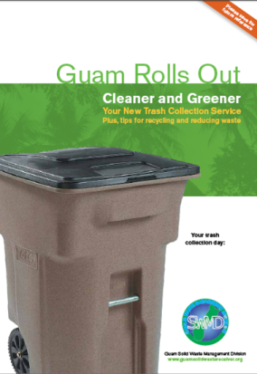 In addition, GBB, again working with MillerCox Design, developed and produced brochures and educational materials to support recycling and proper trash disposal. 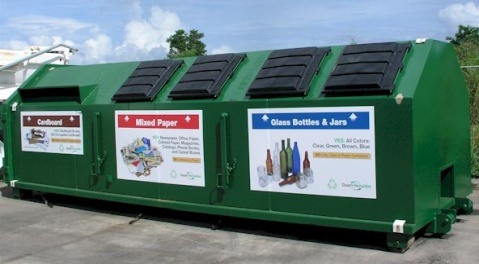 In addition to the cart rollout program, GBB implemented a pilot curbside recycling program for 1,000 customers. The results from the pilot will be evaluated to determine the feasibility of implementing curbside recycling collection island-wide. 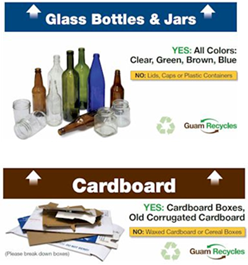 To support the curbside recycling pilot, GBB worked with MillerCox Design on a brochure that described the recycling program. 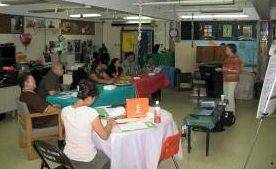 In order to assess Guam residents’ attitudes towards the island’s solid waste system, GBB organized three community meetings/small group discussions with Guam residents in the south, central and northern village districts. The meetings were intentionally small, ranging in size from six to 11 participants, in order to provide opportunities for candid, in-depth discussion of solid waste issues and the trash cart rollout plans. GBB also held a series of stakeholder discussions to obtain input from a select number of mayors, environmentalists, school officials, business representatives and media regarding the Receiver’s plans for implementing a new, cart‐based collection system for customers of the SWMD.